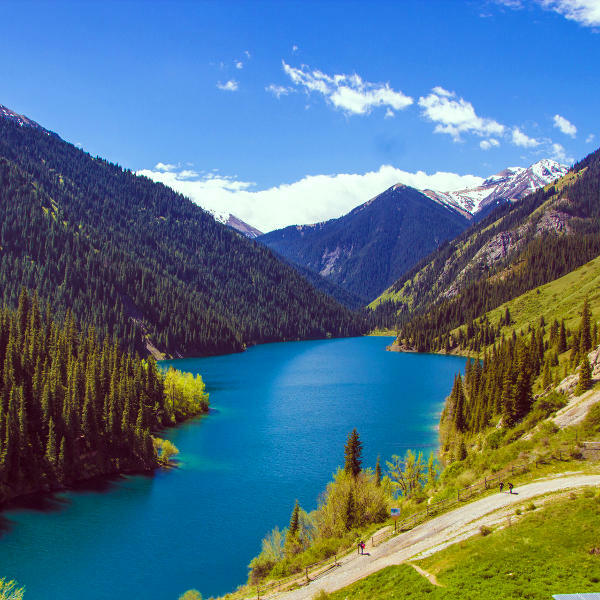 Kazakhstan will satisfy your hedonistic desires with its cosmopolitan allure, captivate your mind with its alluring culture and soothe your soul with its dreamy landscapes. Kazakhstan is the largest landlocked country in the world and home to over 18,000,000 million residents. Attractions include Kolsai Lakes in Almaty, the National Museum of Kazakhstan in Astana and the Baikonur Cosmodrome. Get ready to witness astounding beauty and unimaginable culture with cheap flights to Kazakhstan. Almaty International Airport (ALA), which is a 40-minute drive from the centre of Almaty, is the hub airport of Kazakhstan. Beyond the futuristic cityscapes, you will find a surreal wilderness where shimmering lakes sunken into valleys beckon and soaring mountains wrapped in wild forests whisper your name. 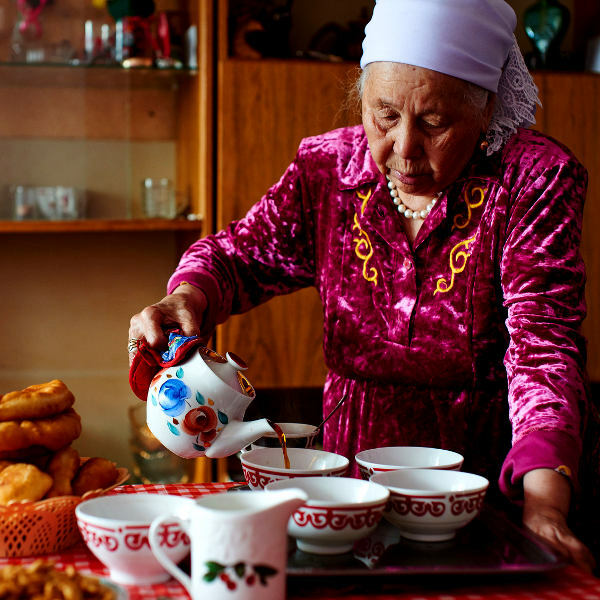 Kazakh culture is a unique and utterly enchanting tapestry of colour and soul. Visit a traditional yurt dwelling or attend the Nauryz celebrations, one of the oldest holidays on earth. Shymbulak Ski Resort in Almaty will take you on a thrilling journey down the snow-clad slopes of the Zaiilisky Alatau mountains. 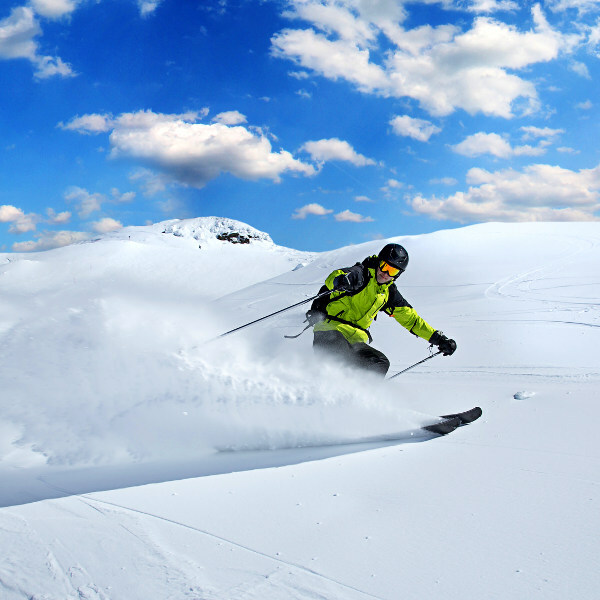 A ski and snowboard school is available for beginners. When it comes to climate, Kazakhstan is a country of extremes. Temperatures can reach as high as 45 degrees Celsius in summer and plummet to -35 degrees Celsius in winter. The south-west areas along the Caspian Sea experience the mildest winter weather. The best time to visit for hiking is between July and August (summer) when the landscapes are ripe and the skies are clear. The landscapes are particularly beautiful from April to June (spring) and September to October (autumn). These months are great for outdoor activities such as river rafting and cycling. For skiing and eagle activities, visit during winter (November to March). Notable events include Nauryz (March), the Festival of Nomadic Civilisation (July) and Chabana Festival (August). For cheap flights to Kazakhstan, the best time to visit is during winter. Stretching from the wild Caspian Sea to the Altai Mountains, Kazakhstan is the largest country in Central Asia. It is a country that beats to the unique rhythm of Kazakh culture and lures you in with promises of soul-stirring forays through awe-inspiring natural landscapes and surreal cityscapes. Almaty is a sprawling metropolis in the foothills of the Trans-Ili Alatau mountains. This glitzy metropolis offers trendy sidewalk cafés, boutique shopping and scintillating nightlife reminiscent of Europe. The city of Astana will delight lovers of architecture and those wanting to experience the bristling cosmopolitan culture of Kazakhstan. Head out of the city and you will find Ile-Alatau National Park, an idyllic tapestry of snow-dusted mountains, emerald valleys and an awe-inspiring shimmering turquoise lake. Venture out a bit further and you will stumble upon the sunken forest of Lake Kaindy and Altyn Emel National Park. Kazakhstan is also home to a number of exciting festivals that showcase the intriguing Kazakh culture. The most notable of these include Astana Day, National Unity Day, Almaty Apple Festival, Four E and Nauryz. Nauryz is one of the oldest holidays on earth. Compare several airlines and book your cheap flights to Kazakhstan online at Travelstart! Although Kazakhstan is considered a safe country, crime happens everywhere and terrorism is a threat throughout Europe. You should use common sense and maintain vigilance throughout your stay and do some research on which areas to avoid. You will need to register within 3 days of arriving in Kazakhstan. Travel insurance to cover theft and medical expenses is recommended. Avoid carrying large sums of cash and valuables, as pick-pocketing and bag snatching does happen. Establishments frequented by visitors in Aktobe, Almaty, Astana and Atyrau are hotspots for muggings and attacks on foreigners. Only make use of licensed, pre-arranged taxis. You should familiarise yourself with the local laws and customs before arriving in Kazakhstan. Avalanches and landslides are a common occurrence in mountainous areas (especially during the spring months). Proof of yellow fever vaccination is required if you are arriving from an infected area. Tick-borne encephalitis and Crimean-Congo hemorrhagic fever are a risk in Kazakhstan, so precautions should be taken to avoid bites. Immunisation against hepatitis A & B, typhoid and rabies is recommended. Routine vaccinations include MMR, diphtheria-tetanus-pertussis, varicella, polio and influenza.